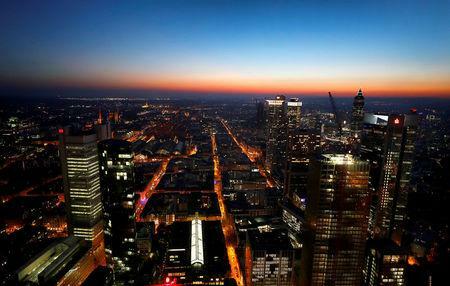 FRANKFURT (Reuters) - Two of the world's biggest economies probably shrank last quarter, further proof that global growth is now past its peak and the risk of a downturn is rising. For now, few economists predict a global downturn as the U.S. economy is motoring ahead, and most even see a rebound, perhaps in 2020. But the risks are skewed toward a more negative outcome as the global business cycle is entering a mature phase, already having left its growth peak behind in 2017.